St Andrew’s Church is located centrally in the town at 12 Gisborne Road. 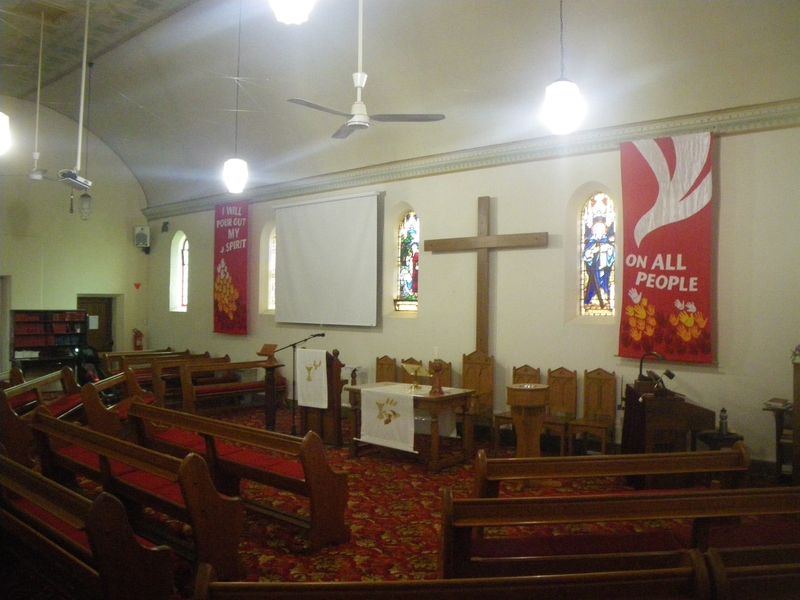 The church facilities are used every day by the Bacchus Marsh community and the surrounding district. St. Andrew’s is the venue for two weekly lunches, one (on Mondays) for seniors and the other is ”Soul Food” (on Wednesdays) for people seeking to build friendships and community over a shared meal. We also host a large number of playgroups. A Narcotics Anonymous group and a Al Anon group also meets at St. Andrew’s. Bacchus Marsh is a lovely town with a long history of market gardening and farming. Turning off the Western Highway, 50 km from Melbourne, one drives between a beautiful avenue of elm trees honouring those who served in the first world war. On either side are orchards and wayside fruit stalls. In recent years many farms close to Bacchus Marsh have been subdivided creating new housing in all directions so that the town now resembles a mat with uneven fringe around the edges. Particularly popular are housing sites on steep ground bordering the Pentland Hills. There are many younger families who have built in the newer areas of Bacchus Marsh. There is a large core of mostly retired people who live in the older section of the town. 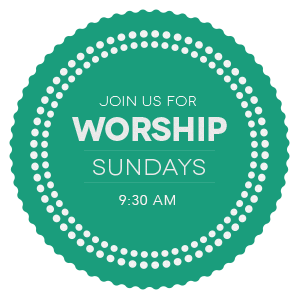 This gives us, as a church, many opportunities to provide services for people in need in our community. Also in our community, there is a block of government housing. Many who live here are struggling financially and have family and employment problems. Distance from services adds to peoples’ isolation and general difficulties. Loneliness is a big factor in the lives of many in this town and district. 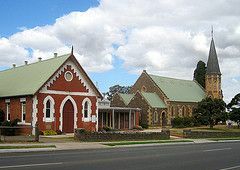 The churches of Bacchus Marsh enjoy excellent ecumenical relationships, with a number of community activities being jointly supported by the Anglican, Baptist, Catholic, Uniting Church and other churches in the community: “The Neighbour’s Place” (a food bank), “Soul Food” (a weekly community lunch), an ecumenical Way of the Cross on Good Friday each year, an annual Advent Service of Remembrance (for those approaching Christmas following a bereavement), also joining with the Local RSL for ANZAC and Remembrance Day services, and Community Carols just before Christmas. There is also a small but active interfaith group seeking to build relationships among people of various faiths.